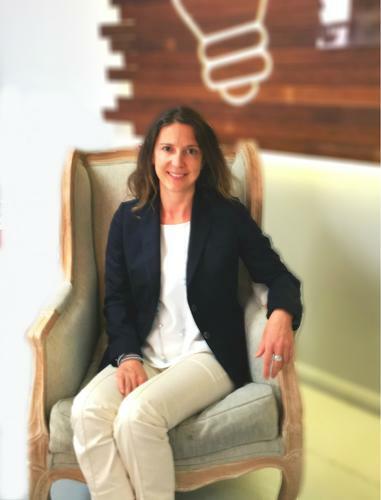 In just a few months, Rafaela Salzer left her corporate role as head of IT at Beam Suntory, decided to start her own business, built an online platform and is now preparing to launch in a couple weeks. The fast moving, ambitious ex-CIO sat down with CIO Australia to discuss her experience in making the leap from corporate life to the high adrenaline startup world. Salzer has worked 10 years in the IT and business intelligence fields for big companies like British American Tobacco and Woolworths. Her experience in leadership roles spans from IT project management, to BI delivery, senior business analyst and integration manager. Salzer left her role as regional IT director/CIO at Beam Suntory a few months ago, realising the role was not what she really wanted and to go find her passion in life. Her startup, Beach Life Australia, was spurred on by her love for the beach, having such a strong first impression of Australia’s beaches when she moved from Austria 12 years ago. “I fell in love with the Australian beach and beach lifestyle, so my idea is to bring that back to Europe and to other places in the world. It’s also curating original Australian beach brands that hold the same high regard of the beach and the beach lifestyle and bring it all together on one platform,” she says about her business. Besides inspiring the world about Australian beach lifestyle and to bring the spotlight on local brands, Salzer’s aim is to have an e-commerce/shopping platform and delivery service that is all about convenience for the consumer. She says many people in Europe – as they don’t have the luxury of having a beach nearby – go to great lengths to prepare for that one time a year they travel to a beach so they can make the most out of it. This is why convenience for the consumer is important for Salzer’s business. Accelerating work and seeing real progress is what has been the most rewarding part of being in a startup environment, Salzer says. This is refreshing compared to her experience in the corporate world where things tend to move slowly. “One of the things that annoyed me the most in the corporate world was the bureaucracy and the slowness of decision making,” she says. “Most organisations have a very stringent process when it comes to new projects. Once you have approved the project, very often it gets delivered the way it was originally approved. However, during the project you quite often learn what was originally approved might not have been the best thing. “Everyone during the project can see it’s not going to go that well, but yet it is delivered just for the sake of meeting the project master and making everyone happy and then afterwards needs to be changed. In a startup environment, time is everything and money is precious, so the Agile methodology is a must in order to be sustainable and successful, Salzer says. But even for corporate environments, companies should be embracing the Agile methodology a lot more to minimise waste and create more flexibility around changing projects and learning along the way, she says. “Especially CIOs need to be able to really step up to the plate and be gutsy enough to say, ‘This is not going in the right direction, let’s wind back. Yes, the project will be delayed, but we are doing the right thing and the result will be much better’. Another experience that’s different to the corporate world is going from managing big budgets to learning to do things on a shoestring. Salzer says there’s a change in mindset when managing millions of dollars for large scale technology deployments to thousands of dollars for finding the right tool that will make do. “When you work for a big company, you don’t deal with such small things like setting up a blog. And for big companies, it is important to get something professional that is not built on say WordPress. It’s both IT, but it’s on two completely different levels.